British drivers face being left on the road to nowhere as the growing threat of having to get new licences and registration certificates in order to be allowed to travel in Europe after Brexit increases. Contingency plans are now being hurriedly drawn up by the UK government in the wake of fears a suitable trade deal cannot be struck with the EU following its departure from the bloc with experts warning any alternatives could be time-consuming as well as labor intensive to cut through the extra red tape. The move comes as the British haulage industry has also urged the UK prime minister Theresa May to ensure a workable agreement is reached to allow tens of thousands of lorries to continue to travel without penalty and hindrance between Britain and Europe following Brexit. The threat that the EU may no longer recognize UK-issued licences could also impact on millions of private motorists as well. In a statement to Sputnik, Philip Gomm, of the RAC Foundation, said: "The RAC estimates two million UK drivers take their cars to the continent each year and most will be used to hassle-free travel, whether that be minimal checks at the border or the need to only carry existing UK paperwork. "It will be a rude shock for motorists if Brexit creates bureaucratic hurdles even before they leave these shores. The hope must be for a deal which allows us to visit the EU and European motorists to come both as easily as possible," he added. With the clock ticking down until the UK leaves the European Union, the Freight Transport Association has urged the British government to take decisive steps to agree the format and parameters of its future trading relationship with its European neighbours. Representing more than 16,000 businesses in the logistics industry, the association has written to Theresa May requesting swift agreement to enable British-based business to plan for a seamless transition to new trading and customs arrangements. "British businesses have heard enough talking — what's needed now is a concrete solution to enable all those involved in moving goods and services across the UK's borders to plan with certainty for a post-Brexit future," said James Hookham, the FTA's deputy CEO. "The time for discussions is over — what the country's businesses need now is action to keep Britain trading without penalty or hindrance," he insisted. Similar sentiments were echoed by the Road Haulage Association despite welcoming UK transport secretary Chris Grayling's acknowledgement that the industry is at the heart of the £110 billion (US $151 billion) trade between Britain and the EU every year. Richard Burnett, RHA chief executive, said: "While the RHA whole-heartedly supports that it is the right thing for the government to be preparing contingency measures, the free flow of goods to the rest of Europe must be maintained. It is therefore essential that the arrangements we have at present be continued. "The road friend industry needs clarity as soon as possible as regards what is being negotiated," he continued, adding: "We want to see a system where licensed UK and EU operators can undertake international road haulage to, from, and through the UK and EU without any additional burden or cost." The Road Haulage Association says the French army must be deployed to protect tourists, truckers and the people of Calais from being caught in the firing line, following violent clashes between migrants in the town. The British government is proposing to sign up to a United Nations convention on road traffic, which will cover issues such as zebra crossings and parking. Such a move will require legislation to be hurried through before Britain quits Europe next March. 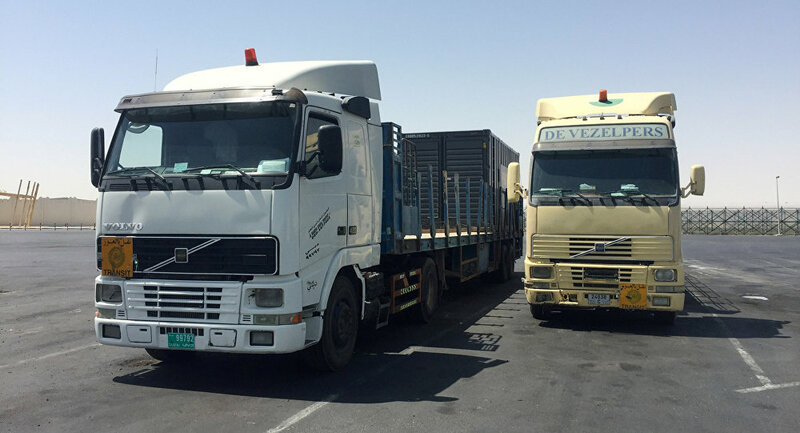 The convention requires the setting up of a new system for registration of trailers and the issuing of international driving permits (IDPs) if the EU refuses to recognize UK licencs. Such a proposal will be both time-consuming and involve additional financial charges being implemented on motorists and hauliers. The UK government has insisted, however, it was never its intention for UK drivers to need IDPs in Europe, but in an EU notice issued in January, the European commission said: "A driving licence issued by the United Kingdom will no longer be recognized by the member states."